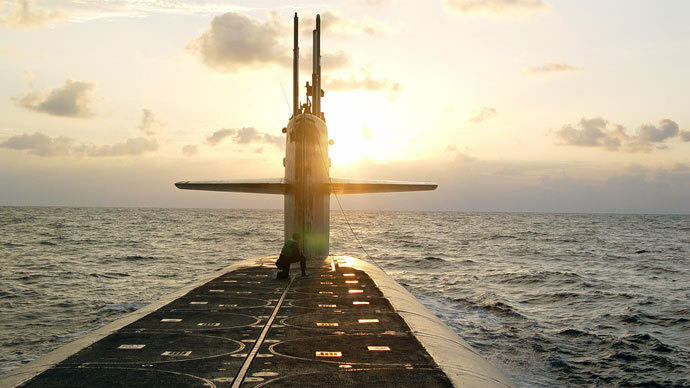 The strategic nuclear arsenal of the United States has been compromised at least twice this year. Air force officials admitted that two US missile technicians assigned with launch keys were discovered repeatedly leaving a blast door open while sleeping. The Associated Press has learned that in both episodes a concrete-and-steel door to the underground launch control center was left open. However the US air force maintains security has not been compromised "due to the multiple safeguards and other protections in place." The blast doors to US nuclear munitions are never to be left open if one of the officers inside is asleep as an intruder can compromise the secret launch codes. The officers inside the bunker, known as missileers, are part of the last line of defense for launching US ICBMs. The AP learned that the two incidents occurred in April and May at two different US air force bases in North Dakota and Montana. The AP confirmed both incidents with several other Air Force officials. In the first violation the blast doors were left open as one of two crew members inside napped thus violating the Air Force’s "weapon system safety rules." One of the officers involved in the April incident at the 91st Missile Wing at Minot Air Force Base in North Dakota lied about the event before admitting to the violation. The other officer responsible for a blast door violation in April confessed during an investigation of procedures without getting caught. For their violations the servicemen were given non-judicial punishment under the Uniform Code of Military Justice. One officer received a letter of reprimand and had to surrender $2,246 in pay for two months, according to Lt. Col. John Sheets, spokesman for Air Force Global Strike Command. The other launch officer who also admitted to numerous violations was given a letter of admonishment, Sheets said. Another confirmed violation happened in May at Malmstrom Air Force Base, Montana. In this incident, a maintenance worker reported the door was open with the deputy crew commander asleep. When questioned by superiors, the deputy crew commander confessed, after initially denying the accusations, later claiming that her crew commander asked her to lie, Sheets said. As punishment, the spokesperson said, she was given a letter of reprimand and ordered to forfeit $3,045 in pay for two months. The deputy crew commander was given a letter of reprimand. The spokesman for Air Force Global Strike Command said the Minot and Malmstrom violations were the only blast door disciplinary cases in at least two years. Sleep rests are permitted during a 24-hour shift, also known as an "alert." But the rules stipulate that the door designed to protect the crew from the blast effects of a direct nuclear strike, must be closed if one is napping. Commander of the US Air Force Global Strike Command at Barksdale Air Force Base in Louisiana, Lieutenant General James Kowalski, in an interview last week said that he was unaware of any violations that have taken place. "I'm not aware of it being any different than it's ever been before," Kowalski was quoted by AP. "And if it had happened out there in the past and was tolerated, it is not tolerated now. So my sense of this is, if we know they're doing it, they'll be disciplined for it." "The only way that you can have a crew member in 'rest status' is if that blast door is shut and there is no possibility of anyone accessing the launch control center," said Lt. Gen. James Kowalski. 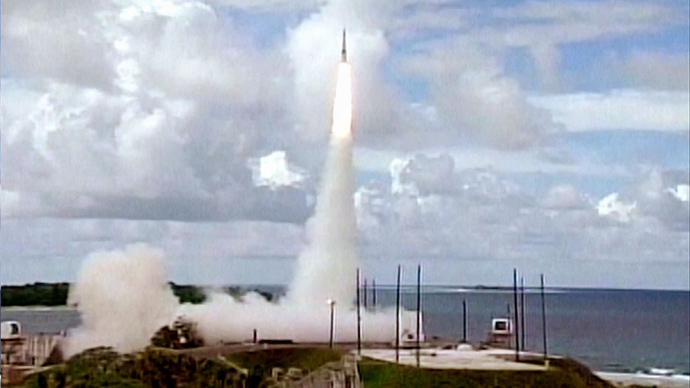 Former officer at ICBM launch control, Bruce Blair, told AP that such violations increase the risk of unauthorized launch. "This transgression might help enable outsiders to gain access to the launch center, and to its super-secret codes," Blair said. "Such invalidation might effectively neutralize for an extended period of time the entire US strategic nuclear arsenal and the President's ability to launch strategic forces while the Pentagon scrambles to re-issue new codes," he added. In order to gain access to the blast door a potential intruder has to overcome a number of obstacles before reaching the multi-ton door that when closed is locked by 12 hydraulically operated steel pins. The door is located next to an elevator shaft, access to which is controlled above-ground with numerous security cameras and patrol units. Each underground launch center operates 10 Minuteman 3 missiles. The missiles stand is kept in a reinforced concrete storage tower and is controlled by buried communications cables. The ICBMs are proportionally divided in "wings" based in North Dakota, Wyoming and Montana. Each wing is then split into three squadrons, which are responsible for 50 missiles. This is not the first time the safety of US nuclear arsenal has made the headlines in recent months. In August, US Air Force officials admitted that a nuclear missile unit failed a safety and security inspection on three of its bases, resulting in 17 officers being suspended from operating missiles. 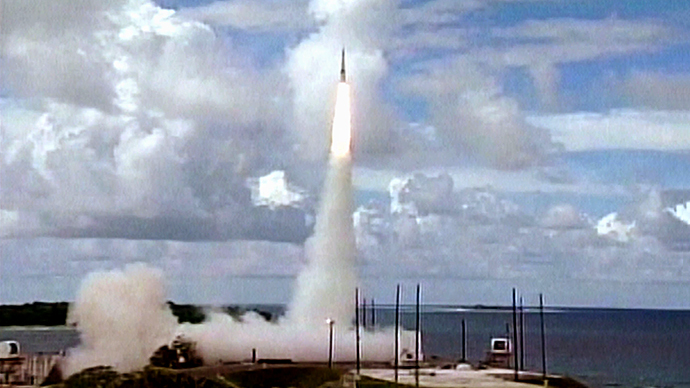 The 341st Missile Wing headquartered in Montana is one of three US bases that maintains and operates the Minuteman 3 intercontinental ballistic missiles. 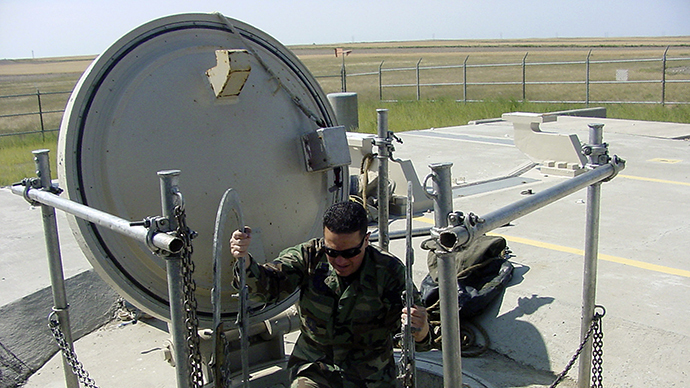 Two of the three bases have received poor results during safety and security inspections; the third base is in Warren in Wyoming.